It is Monday April 4th at 4:30am. I am woken from a deep sleep by the hotel reception. While groggy at first, I quickly pop out of bed. It is a special day as I am scheduled to depart Copenhagen for Reims, heart of Champagne land. This is the second trip of four to track the life of champagne. Though it is a touch early in the season, a beautiful “invitation of friendship” from a friend whom I share a champagne passion, was something I could not resist. After all, no time like the present! Those of you who know me are aware that champagne has been my favorite beverage for over 20 plus years as an accessory and my favorite gift to give and receive (read my coming blog on my 50th birthday celebration). 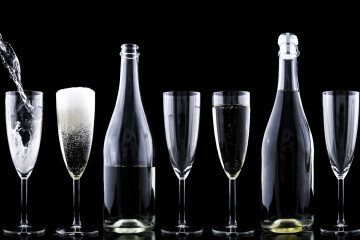 For me champagne is like a new toy to play and experiment with, and a delight to drink anywhere and at anytime. Champagne is my signature drink and well represents my personality and philosophy of life – bubbly, exploding energy, and always looking for and celebrating the best parts of life. At the time of this trip, the bud has broken, signaling Spring and new things to come. This trip was also extraordinary because it was unplanned, a spontaneous gesture and invitation, and definitely an opportunity too good to resist. 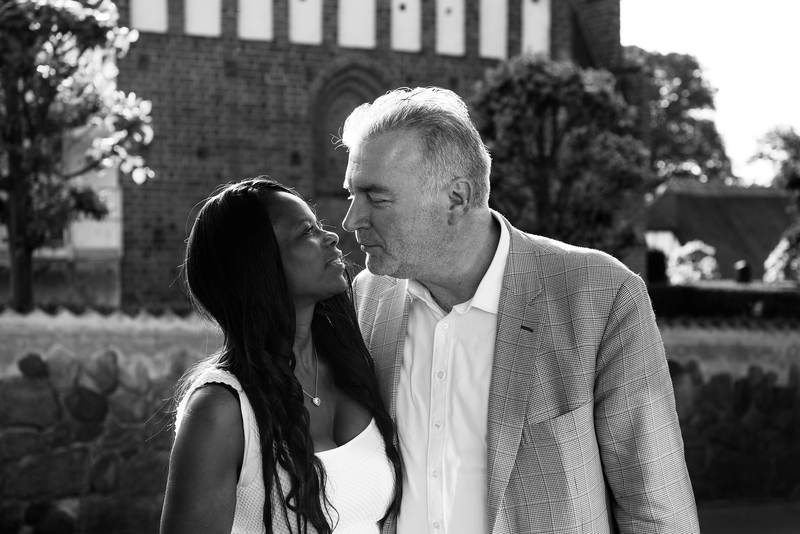 I was traveling with my daughter Lauren who was on a long Easter holiday from the Swiss boarding school she attends. This was also her first trip to Champagne, and the perfect way to introduce her to my world outside of being mom. Lauren teased me that she had secretly wondered if I was a champagne alcoholic and never understood why I collected and marveled at champagne bottles – even those unopened. This was a chance to introduce her to the champagne aficionado I am and why I love it, and also some mother-daughter bonding time. 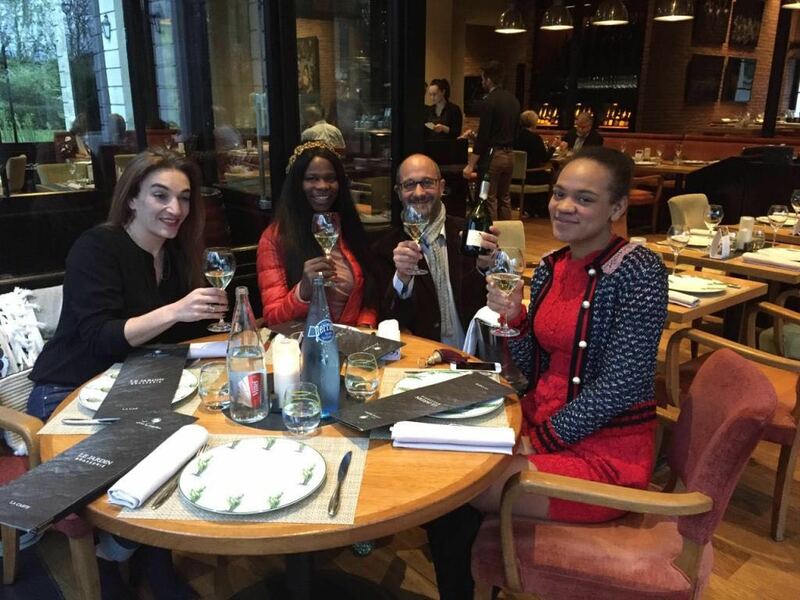 It was a remarkable invitation from a friend – typically Champagne is a place where you need to give a formal notice and await an appointment, basically, you cannot just walk in off the street. These houses are also people’s homes, and the cellars are people’s living rooms, the wine room is the reception room. Therefore I was highly honored and grateful that Mumm had time for me. The timing of this trip also gave me something to think about landing in Paris, a destination I have been avoiding due to the recent Paris and Brussels attacks. Airports with heavily armed, high level security police officers toting guns trying to protect us from terrorist attacks gives us pause and serve as sobering reminders of the fragility of life and the randomness of death. At the end of the day; however, my resolve is to continue to live my life and what will be will be. We all must carry on and take nothing for granted. Waiting for us at Charles de Gaulle was a big G.H Mumm sign with the big gold letters with famous red ribbon strike on white card was proudly held by a waiting chauffeur in a the heavily guarded airport. Quite a contrast. The car journey was somewhat quicker than I remembered, with everything seeming nearer, and perhaps my falling asleep got the better of me since it was by now 8:50 and I felt like I had been for hours – which I had. Arriving in Reims at the G.H Mumm address Didier, a very tall, slim, and typically looking French man with a half Italian surname was at the doors of Mumm to welcome us. You might not know you were at House of G.H Mumm as there is not much sign of champagne or the usual big posters signs and banners of the big champagne house. I thought they obviously did not care too much about bombastic branding. That’s the comfort of being one of the biggest Champagne houses in the world. You could almost have been anywhere. We started the tour straight away in the wine hall. Standing high and proud in a line were stainless steel vats 10 meters in height and 4 meters breadth. It resembled a mini version of a New York city street grid where these oversized vats were standing tall, like skyscrapers lined up in a criss-cross layout on streets and avenues in Manhattan. The House of Mumm is the biggest Champagne distributor in France, selling many many millions of bottles in France alone! G.H Mumm is not anymore the official champagne of F1 after 15 years but are now the official sponsor of Formula E and also Romain Grosjean. G.H Mumm Champagne has been recognized as the Official Champagne of F1 Racing and Yachting’s Cowes Week on the Isle of Wight. 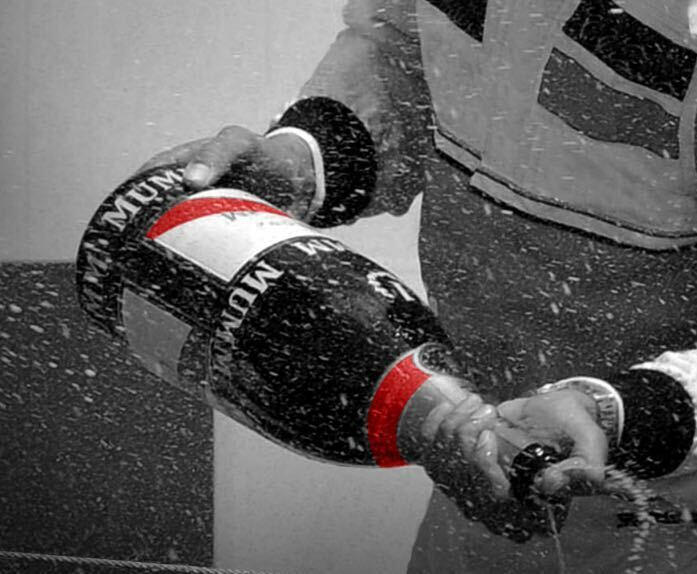 Additionally, G.H Mumm Champagne is the longest standing champagne sponsor to Formula 1 (F1) races worldwide. The victorious drivers celebrate their wins on Mumm,s champagne, and Formula guests, partners and visitors also indulge in this deliciously flavour glass of magic. The thrill of being in the thick of G.H Mumm’s history and notoriety with my daughter is magical. Roaming through a jungle of steel vats we treaded carefully over many meters of lines that pump juices through a maze of ground pipes. It was a day of huge importance and al the more reason to be here – it was blending day! I held tightly onto Lauren’s hand, barely able to contain myself, and hoping by her being here with me she would understand her mom’s passion and love for champagne, and perhaps develop an interest for herself. One can only wish! A bit about blending and its importance in the process. The time of the year is set in the calendar by Didier and his workforce to continue the usual procedure of blending the different wines from the different tanks to create uniqueness and flavor. Didier is the head winemaker for this great Champagne house so ever word he spoke on how these amazing wines were blended in these enormous vats was listened to twice, a relax chap, happy in spirit and comfortable and expert in his words, true to himself , opinions and comments are from a young wise mature man born in Switzerland but from French parents, you can realize quickly he was born with grapes in 1 hand and cork tops in another. While the blending was in process (we are talking thousands of liters of wine at a time) a moment to reflect and understand how enormous this production really is, the floor manager gave way so we could quick peep at the heart of the production. The blending machine panel is linked to a computer screen we were shown with several buttons and different numbers, dots, and commas were lit up and waiting instruction from the Chef de Caves’ magic finger to tap in the special formulated number, which from weeks prior he had been in the wine laboratory with teams of wine maker tasting and comparing the different wines they had gathered to make part of this years cuvée. Lauren and I were given the inside tour with every detail explained to us. This was a great start for us in our mother-daughter champagne journey. I watched Lauren as she attentively listened and observed. She is my studious child, thoughtful and quiet but always taking it all in. I have no doubt in a very short time she will teach me a thing or two about champagne! In the meantime, we have other Houses to visit and glasses to toast to the special bond between mothers and daughters. Cheers and more to come! Visit my site, http://lescinqfilles.com/, for more information about the Champagne Les Cinq Filles Cuvee. It is also possible to purchases the bottles directly from there.